The Travelers Rest Planning Commission has approved a new development called The Pinestone Development. It has been proposed for the former Emb-Tex plant site. The approval is conditional based on the developer complying with recommendations set forth by the TR planning commission. The approval could happen in March. This mixed-use development could bring 250 apartment units, 100 single-family homes and 77,000 sf of space for businesses and medical to Travelers Rest. Around 100 people filled the municipal court room in Travelers Rest for the public hearing. Some spoke in favor of the development and others voiced concerns. A feeling that fast development could ruin the “charming” atmosphere. Another voiced concerns about increased traffic. 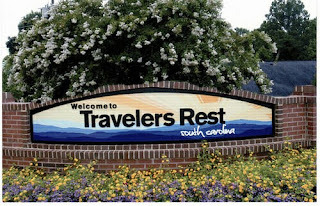 A saving grace for the small town of Travelers Rest may be that it is not a pass-through town but rather a destination up against the border of the North Carolina Mountains. Travelers would stop in town for a brief time to rest before starting their arduous journey into the mountains. Some travelers would spend the winter waiting for the snow to melt. A new 36,000 sf facility has broken ground to replace the South Carolina Children’s Theatre in the 100 block of August Street. Construction is expected to take 15 months. Close by is the new site of Augusta Row Townhomes that will include 27 luxury townhomes on Claussen Avenue and Thruston Street. Construction should begin sometime in February. Another site near Augusta and Bradshaw Streets will make way for two luxury condos with other development planned for another portion of the site. The Camperdown development has secured another tenant in business solutions firm Elliott Davis. It will relocate its corporate headquarters and anchor the new Falls Tower building. The firm joins Bank of America, AC Hotel and a luxury apartment and retail space currently under construction. Elliott Davis has over 250 employees in Greenville and is still growing.